The post was edited 1 time, last by chacal231077 ( Nov 25th 2018, 3:26pm ). what is the model of eprom to reprogram not to touch the original version ? The post was edited 1 time, last by chacal231077 ( Nov 28th 2018, 3:28pm ). You'll need two 27C4001 or 27C040. Is this the last revision of the Y-Unit that can be installed? 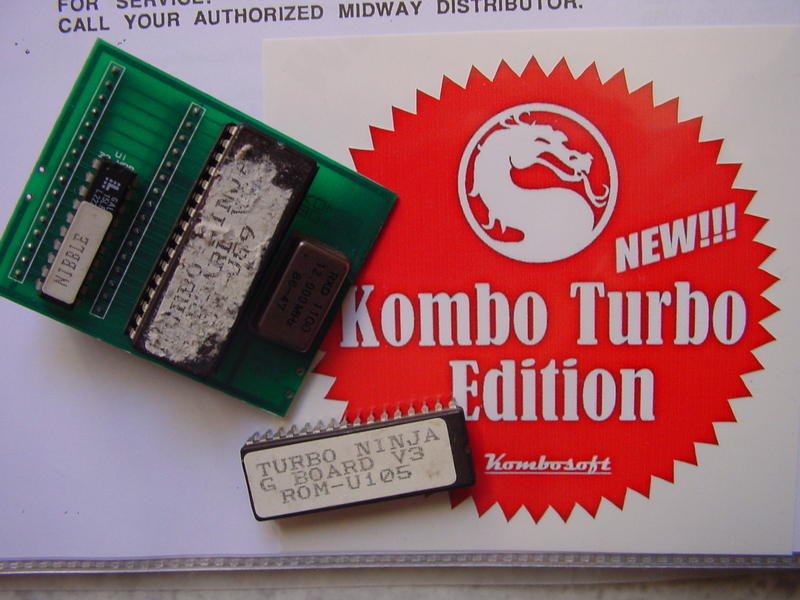 ok Thanks But the other version turbo version 3.0 ,3.1 & Ninja it is necessary to the Little PCB? You have a modified/hacked board there with Turbo Ninja (unofficial hack like the "Rainbow Edition" was for Street Fighter 2). The first thing to do is dump those 2 roms in the pic and post them here so we can check if they are in mame, that could be an undumped revision. Then after that if you want rev 4 you would keep that daughter card and rom removed and then you would program 2 other roms with the rev 4 from mame. Do not reprogram those roms pictured, you would be throwing money away, that kit has a value, you can sell it on ebay in 10 seconds.